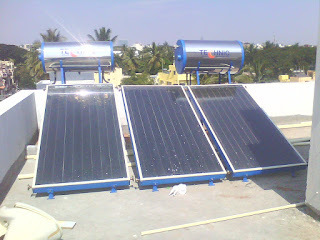 A Solar Water Heater(SWH) is a device which provides hot water for bathing, washing, cleaning etc. using solar energy. 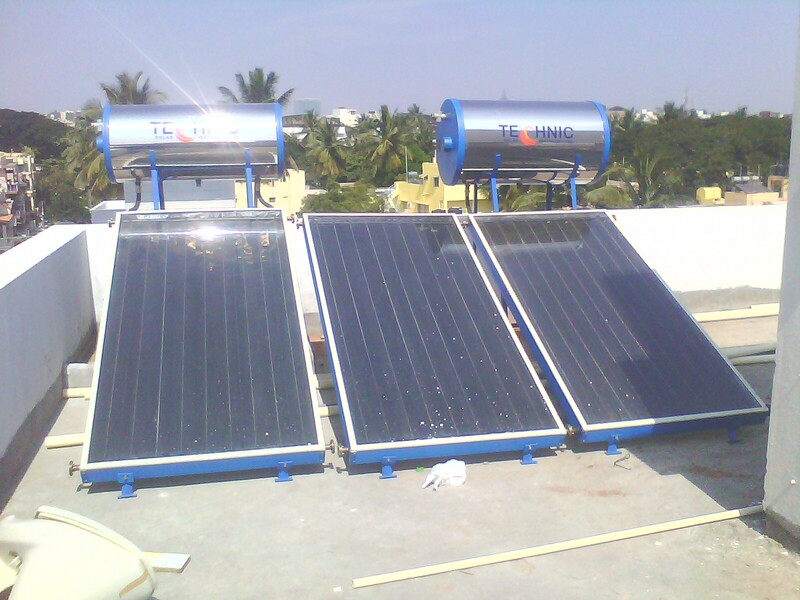 It is generally installed at terrace or where sunlight is available and heats water during day time which is stored in an insulated storage tank for use when required including morning. It basically heats the water using heat energy of the Sun rays. Today we are going to discuss the working of solar water heater in thermosymphonic mode. 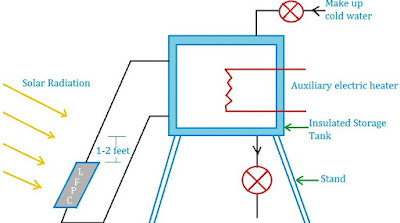 A solar water heater is shown in above figure. It consists of a tilted liquid flat plate collector(LFPC) facing south with transparent glass covers, a separate highly insulated water storage tank and well insulated pipes connecting the two. The bottom of the tank is at least 1-2 feet the top of the collector and no auxiliary energy is required to circulate water through it. Circulation occurs through thermosymphonic mode or natural convection. 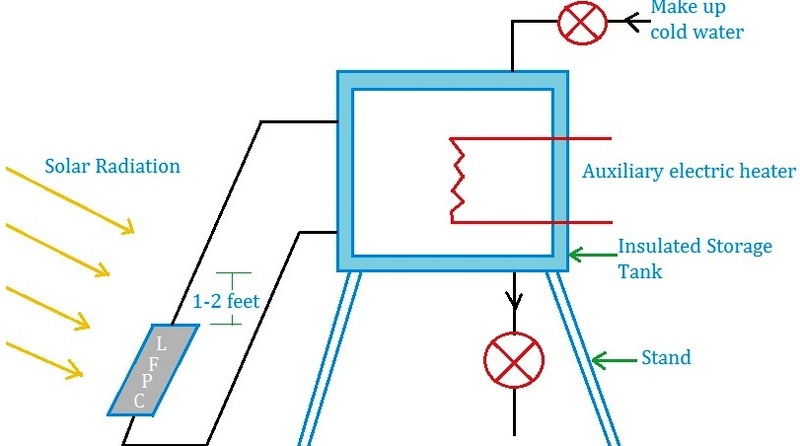 As the water us heated in its passage through the collector its density decreases and hence it rises and flows into the top of the storage tank, colder water from the bottom of the tank has higher density and so tends to sink and enter the lower header of the collector for further heating. The density differences between the hot water and cold water thus provides the driving force necessary for the circulation of water through the collector and the storage tank, Hot water is drawn off from the top of the tank as required and is replaced by cold water from the service system. As long as the Sun shines the water will quietly circulate getting warmer. To provide heat, during cloudy periods, an electrical immersion heater can be used as backup for the solar system. I LOVE reading your blog, it is so informative. Thank you for all the energy, time and love you put into it.